Here at Little Poppets Nursery we would consider ourselves as one of the best local childcare providers in East Midlands. We have been looking after children since we first opened in 1989 and in this time we have looked after many. Parents are tasked with a hard job sometimes when it comes to finding childcare for their child/children as they need to find a place that will be right for their child and that offers exactly what both the parents and child needs. Children have to feel happy and secure in their environment in order to learn and reach their potential and that is an area we feel we do well in as our nursery is welcoming and inviting and the staff work hard to ensure that every child is happy, comfortable and well looked after. 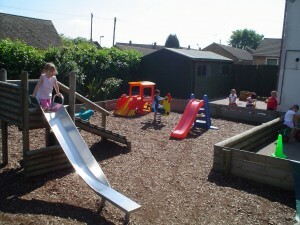 Some parents spend such a long time visiting different nurseries to find the best local childcare providers in East Midlands as some place a huge focus on outdoor areas available, whilst others may be more focused on routine and the menus available as they want to ensure that their child has a healthy, balanced diet. Here at Little Poppets Nursery though we take the all round development of every child seriously. We have a great outdoor area which the children in our care can make good use of, the play equipment available is designed to help the children’s physical well being, confidence and fitness. Our staff plan daily activities to carry out with the children which help with their learning, these activities encourage investigation and exploration. We have enlisted the help of a dietician too to work with to put together the menus for the children at our nursery to ensure they are nutritious. On our website you can read much more about Little Poppets Nursery and you can see for yourself why we would class ourselves as one of the best local childcare providers in East Midlands. If you do have any questions though or if you would like anymore information or to arrange an appointment to come and see round then all you have to do is get in touch with us and we will help you as best we can.